You are more likely to be proud of your smile when your teeth are straight and evenly spaced. Pride in your appearance can give you more confidence and encourage you to try new things. This can be particularly important for adolescents. In addition, people often judge others based on first impressions. 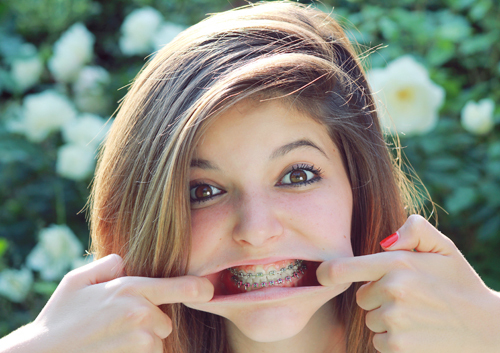 A smile that shows straight teeth is more attractive. Brushing and flossing your teeth are two basic components of an oral health routine to protect your teeth from conditions such as tooth decay, gingivitis, and plaque build-up. As Drs. Lawrence Hier and Michelle Palmer and our staff know, caring for your mouth is easier when your teeth are straight. The American Dental Association says the following conditions are less likely to occur if you have the proper orthodontic treatment. Poorly aligned teeth can reduce your ability to chew properly or make certain foods more difficult to eat. Many of these more challenging foods are healthy, and avoiding them can cause you to limit your diet to softer, often less-nutritious foods, such as ice cream and canned soup. Straighter teeth and a better ability to chew let you eat crunchy foods, such as apples and carrots; stringy foods, such as asparagus and chicken; and chewy foods, such as raisins.